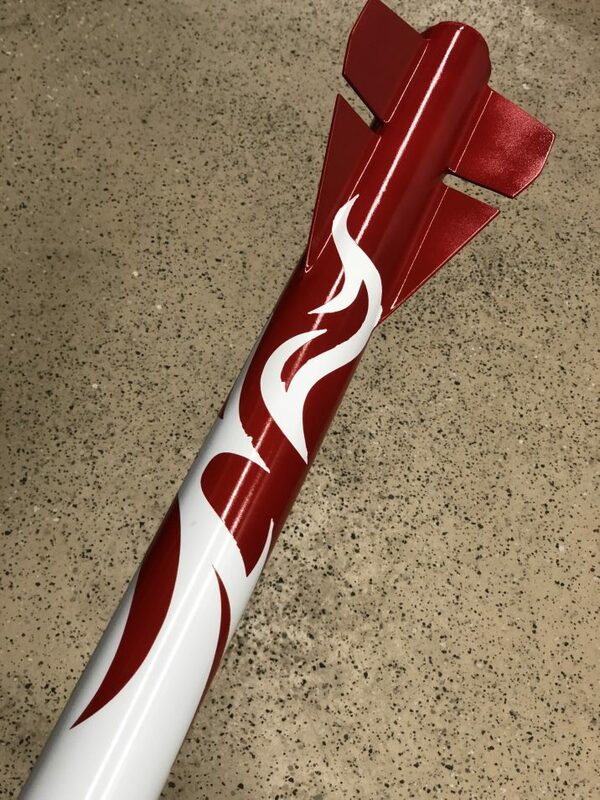 I sprayed the color on my Broken Arrow 54 high power rocket today. I tried a new multi-layer trick with a combination of metal flake, pearl and color. 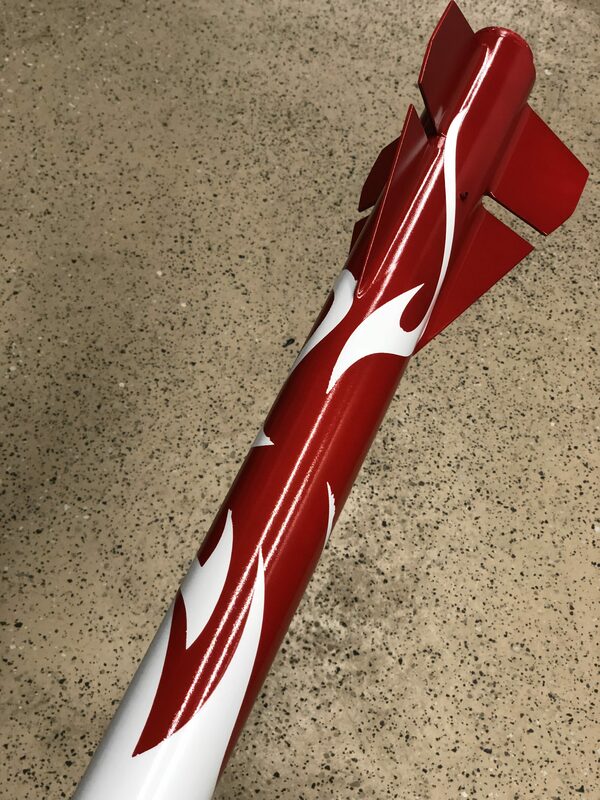 The red looks awesome…except that the adhesion is really poor. When I peeled off my vinyl mask, the red paint peeled up in quite a few places. This will be good enough for now, but I’ll eventually strip it down and start over on the paint.